In 2007 we were approached by Microsoft in Dublin to create a centre piece for their refurbished offices in Sandyford. The brief was to create a large sculptural work which could also be illuminated and be seen from the various floors of the building which had an internal courtyard. A variety of seating areas and signage surrounded the yard and it was decided to use one of the clad boxes that were being designed to house the plants to also house the base of the sculpture. 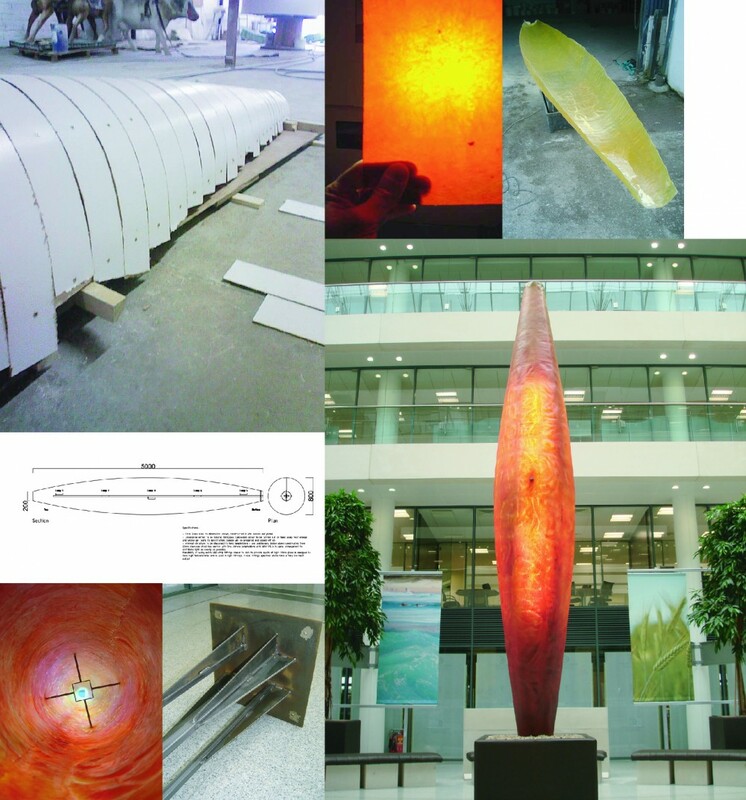 Several materials were discussed with the interior designer Martin Wooley however fibreglass was chosen for it’s strength and suitability to create a flame-like colour throughout, in keeping with the original concept.